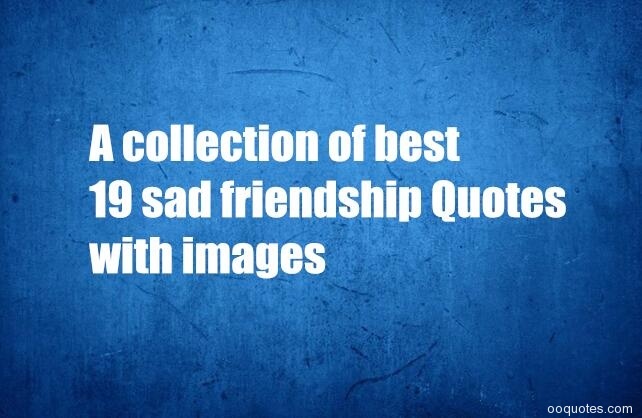 What are the best quotes about friendship?What are some examples of sad friendship quotes?Below you will find our collection of sad friendship quotes that make you cry,sad broken friendship quotes with images. 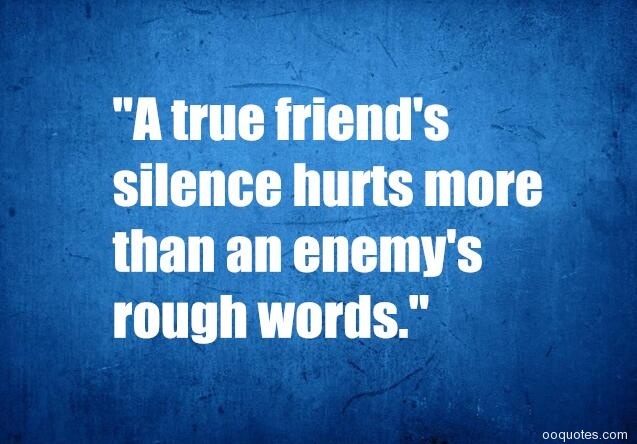 "A true friend's silence hurts more than an enemy's rough words." 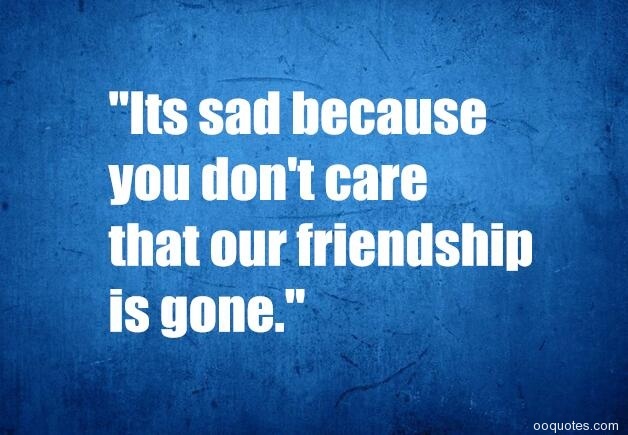 "Its sad because you don't care that our friendship is gone." 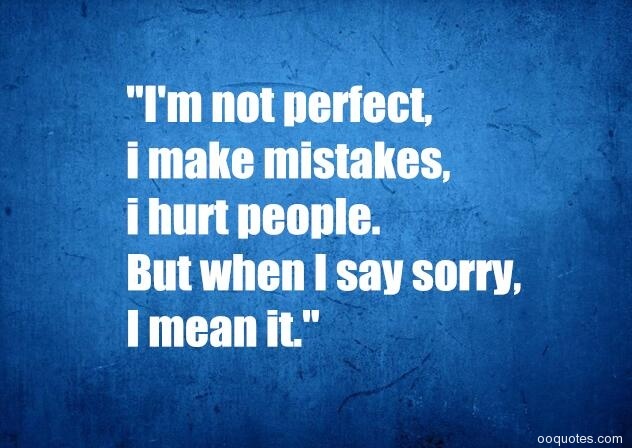 "I'm not perfect,i make mistakes, i hurt people. 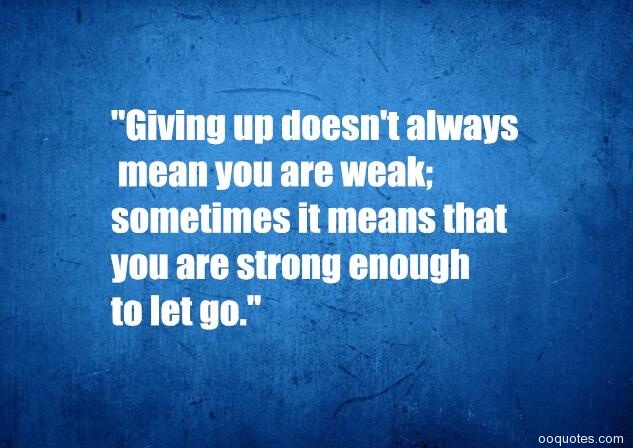 But when I say sorry, I mean it." 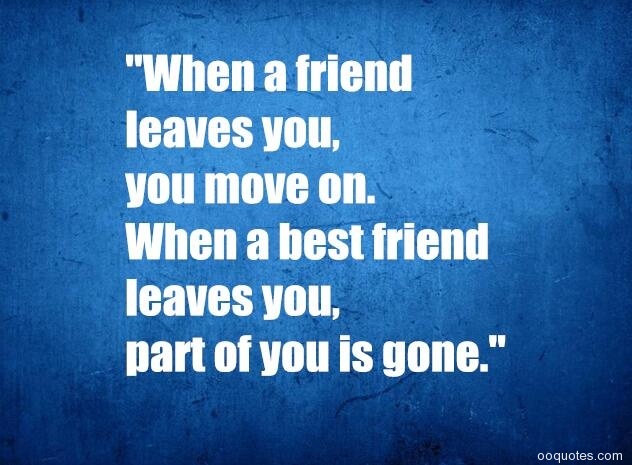 "When a friend leaves you,you move on. 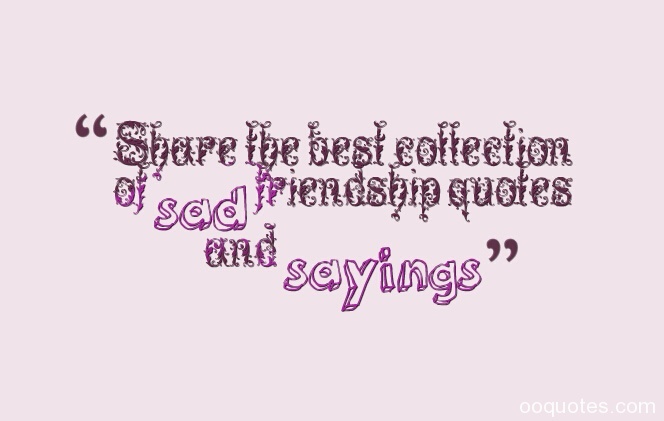 When a best friend leaves you, part of you is gone." 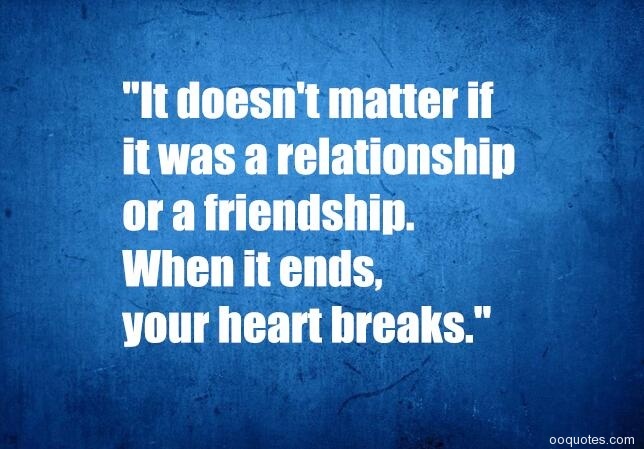 "It doesn't matter if it was a relationship or a friendship. 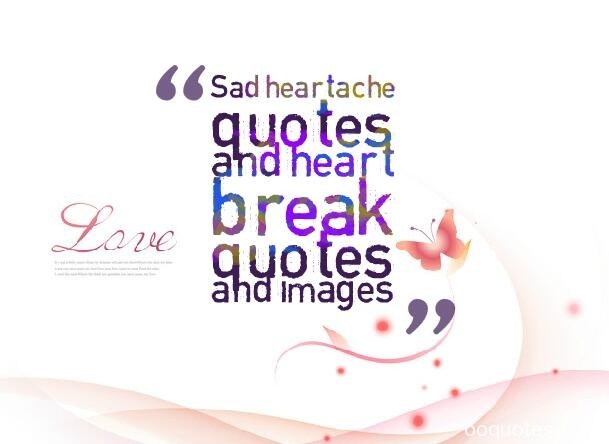 When it ends, your heart breaks." 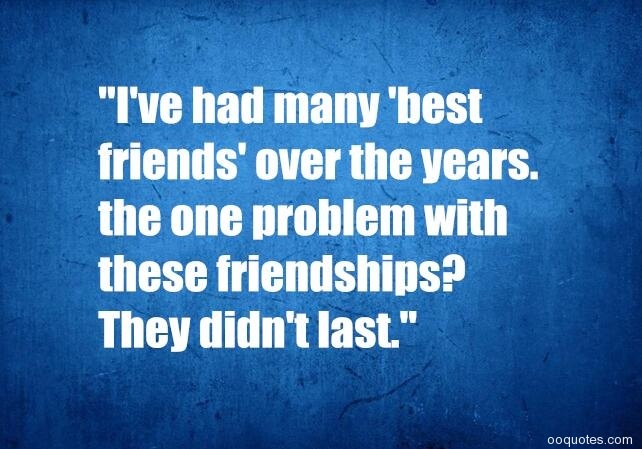 "I've had many 'best friends' over the years. the one problem with these friendships? 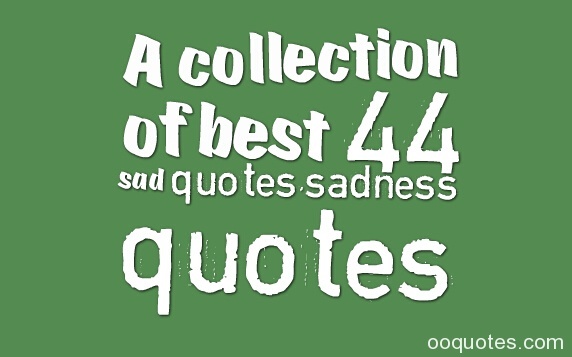 They didn't last." 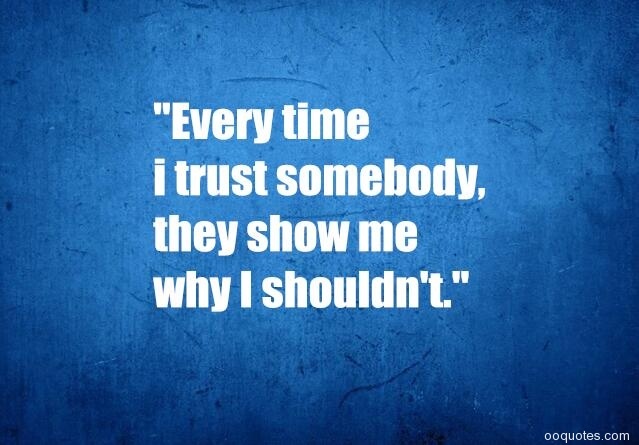 "Every time i trust somebody,they show me why I shouldn't." 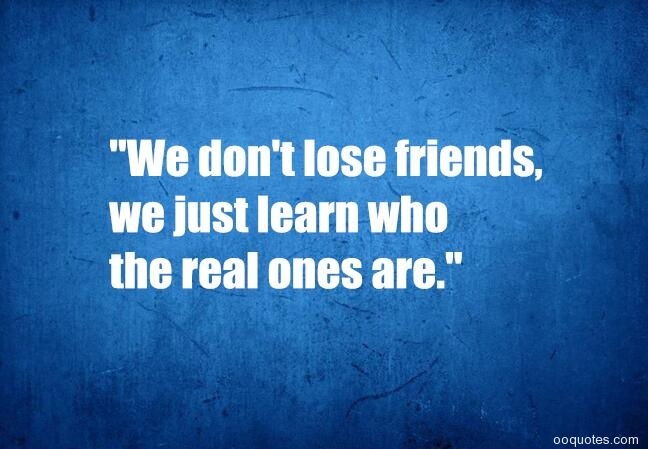 "We don't lose friends,we just learn who the real ones are." 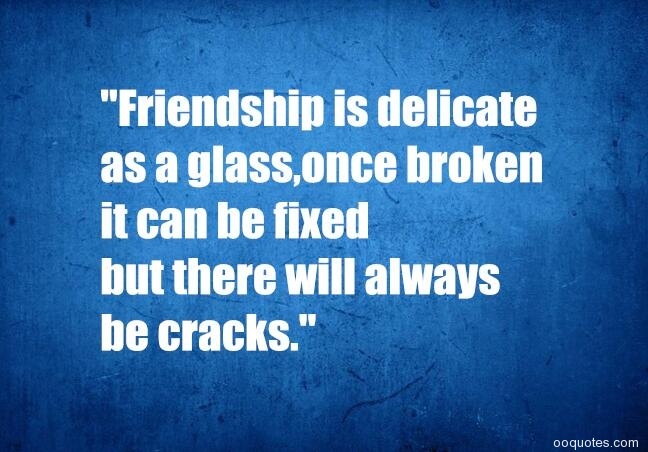 "Friendship is delicate as a glass,once broken it can be fixed but there will always be cracks." 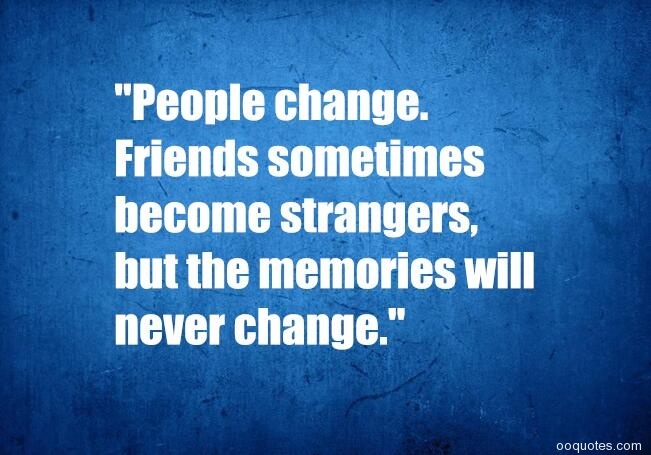 "People change.Friends sometimes become strangers,but the memories will never change." 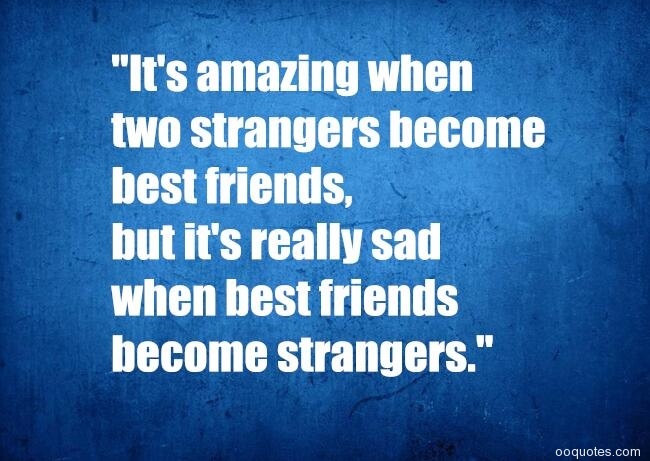 "It's amazing when two strangers become best friends,but it's really sad when best friends become strangers." 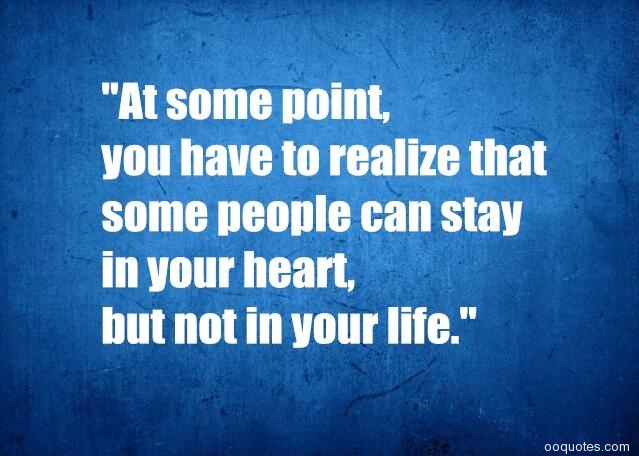 "At some point,you have to realize that some people can stay in your heart,but not in your life." 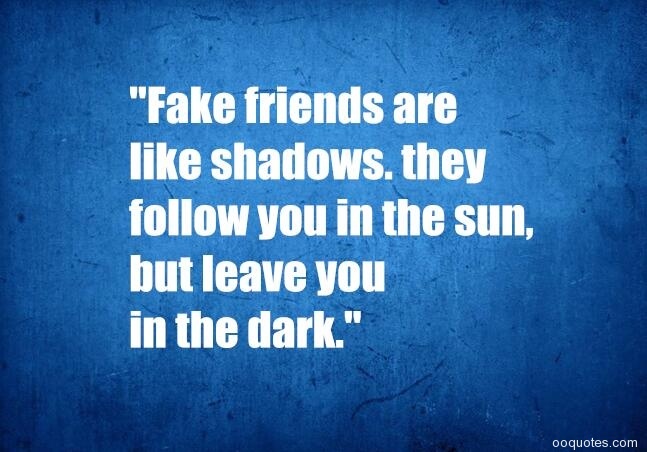 "Fake friends are like shadows. 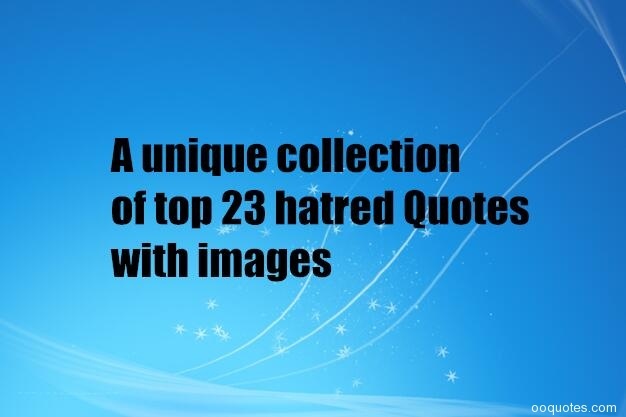 they follow you in the sun,but leave you in the dark." "We're not friends. we're not enemies. 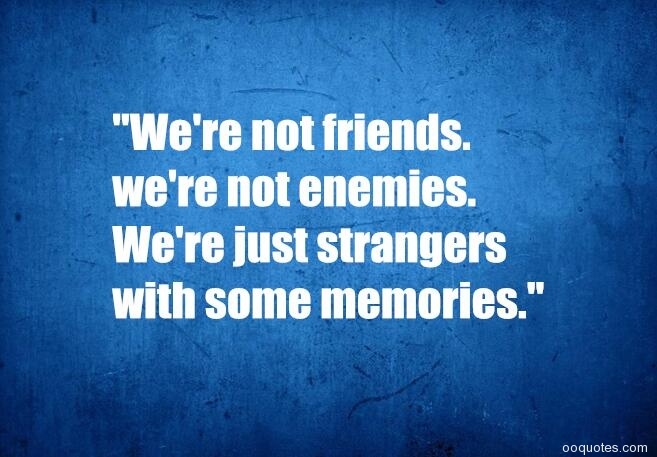 We're just strangers with some memories." 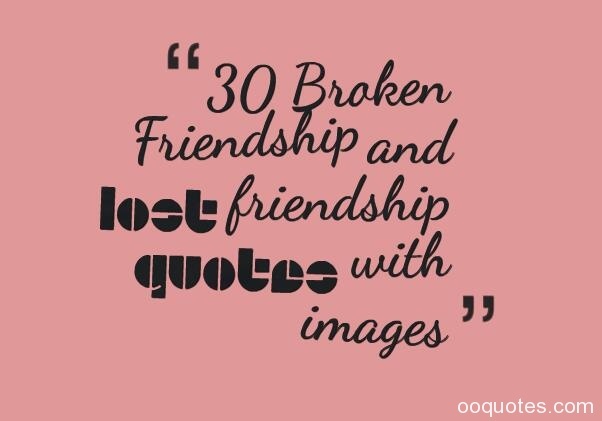 "Your fake friends make you loose your real friends. 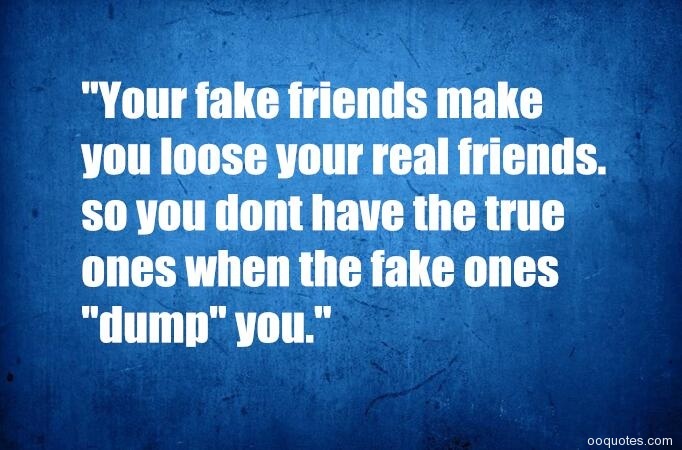 so you dont have the true ones when the fake ones "dump" you." 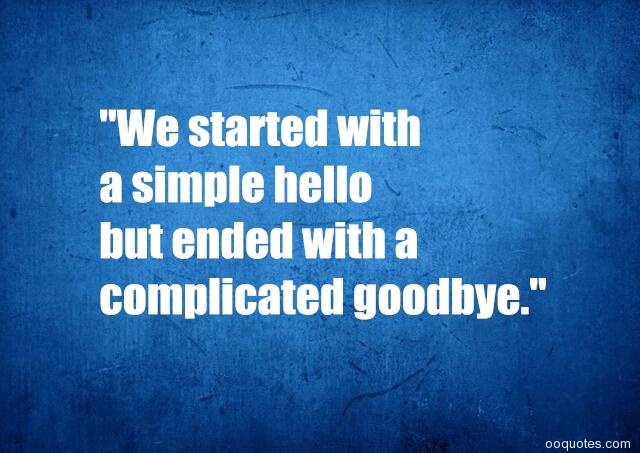 "We started with a simple hello but ended with a complicated goodbye." 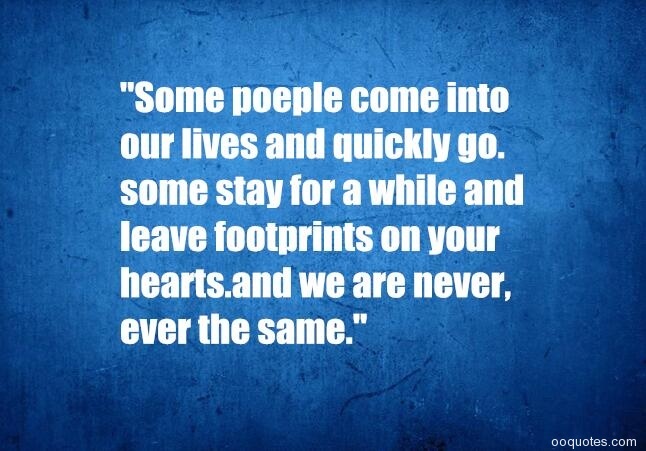 "Some poeple come into our lives and quickly go.some stay for a while and leave footprints on your hearts.and we are never,ever the same." 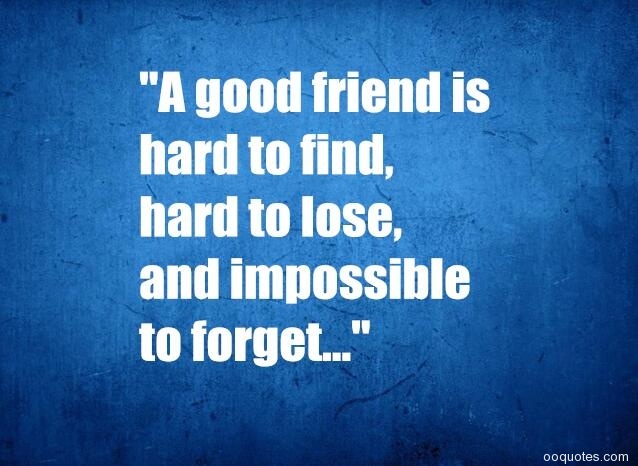 "A good friend is hard to find,hard to lose,and impossible to forget…"